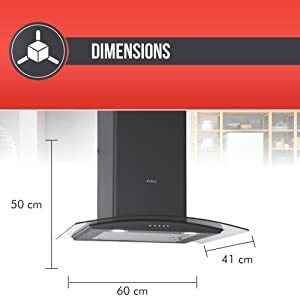 Amazon is running an offer where you can Buy Elica Kitchen Chimney 60 cm 1100 M3/H (ESCG BF 60 Nero, Black) at Flat Rs. 5102 off, worth Rs. 13990 at Just Rs. 8888. 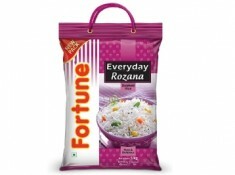 This is the lowest Online price for this product. 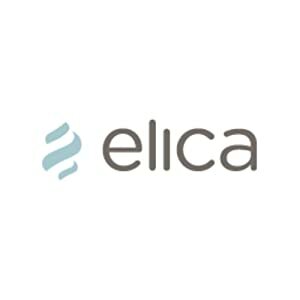 Elica SpA formed a joint venture Elica PB India Private Limited in India 2010. The manufacturing unit in India in located in Pune. Visit here for the page !! For More Products !! 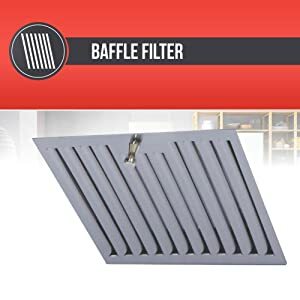 The chimney is designed in a way to reduce our cleaning time. The oil collector bowels have to be washed once a month depending on usage. There is no extra effort to clean oil collectors. Enhance the look of your kitchen with the charming design of ESCG BF 60 Touch Nero kitchen chimney! 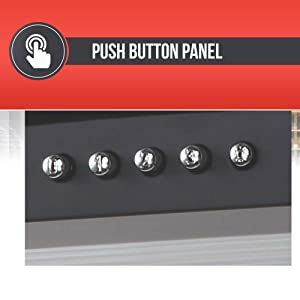 Now with trendy push button control panel . 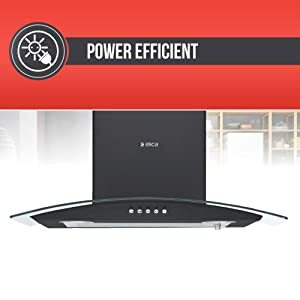 That will give to an easy access to all the features of your Elica chimney; it's easy to use so that your kitchens stay fresh and clean without any hassle. The Elica chimney blends in with any kitchen style and adds great functional value as well. The product is robust and will give you continued service without occupying a lot of space in your kitchen, This small and powerful appliance will never disappoint you with its powerful performance. ESCG BF 60 Touch Nero comes With a suction capacity of (1100 m^3/Hr), this Elica chimney is a useful addition to the kitchen. Chimney lend you comfort and help your kitchen stay fresh, as it is less noisy, low on maintenance and energy efficient. This kitchen appliance has 2 inbuilt LED lamps with power consumption of (3 Watt) for your convenience. 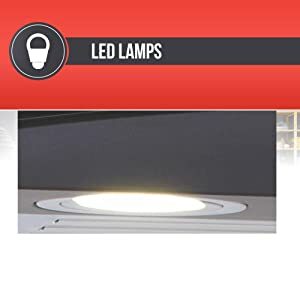 To give you an ease while cooking, lights will never be an issue while you’re cooking. The perfect design of the durable chimney gives a greater effectiveness. 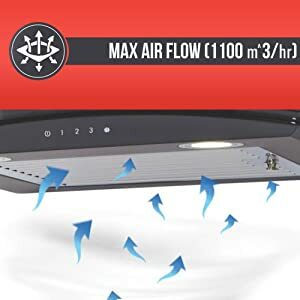 This powerful Chimney will never burn hole in your pocket, it’s easy and effective and consumes less power without you been concern about the electricity bill. Maharashtra. This state-of- the-art manufacturing plant is well equipped with machinery, automated assembly lines, and equipment imported from Italy. The Company is all set to revolutionize the kitchen hood industry in India.